I haven’t posted a Calendar of Free events in a few months but I just love this time of year so much that I want everyone to be able to experience all of the fun things happening around the city. 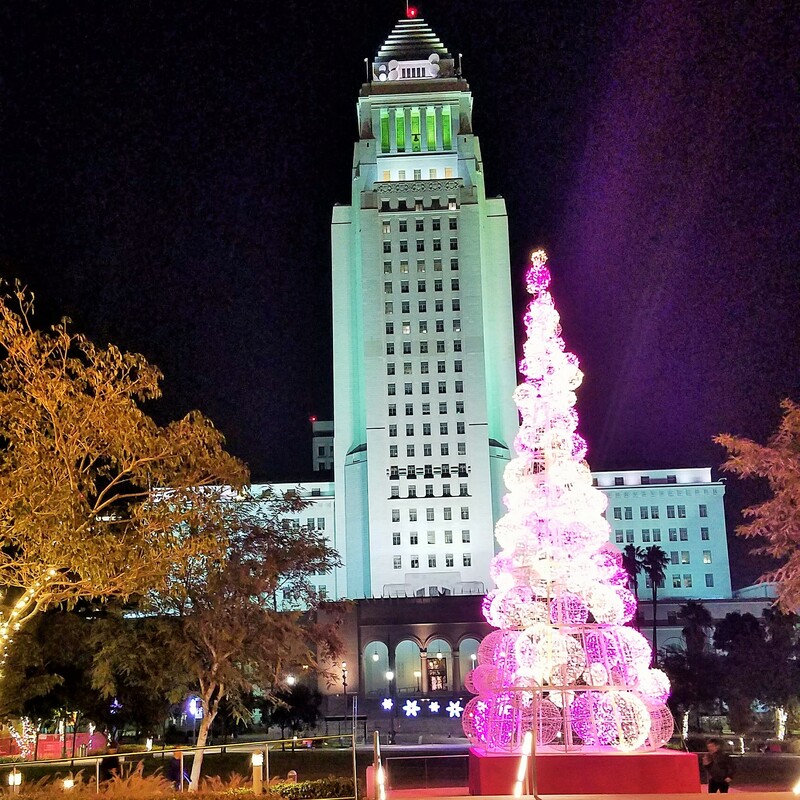 The Holidays shouldn’t be a financial burden and thankfully for Los Angeles residents, we have a lot of FREE events for the entire family to enjoy. I am ready to give birth any day now, so I might not be able to attend all of them, but that doesn’t mean you and your family have to miss out! Details: Grand Park will magically come alive with park-inspired holiday décor for the holidays with a 45-foot tree as a highlight. Perfect for a festive DTLA stroll, or as the backdrop of the annual family holiday photo. Details: The historic community of Echo Park celebrates with high school bands, local dignitaries, & some quirky surprises. Details: Winter Wonderland: The City of LA hosts a holiday celebration, with snow sledding, food trucks, live music, Santa, s’mores, & more. 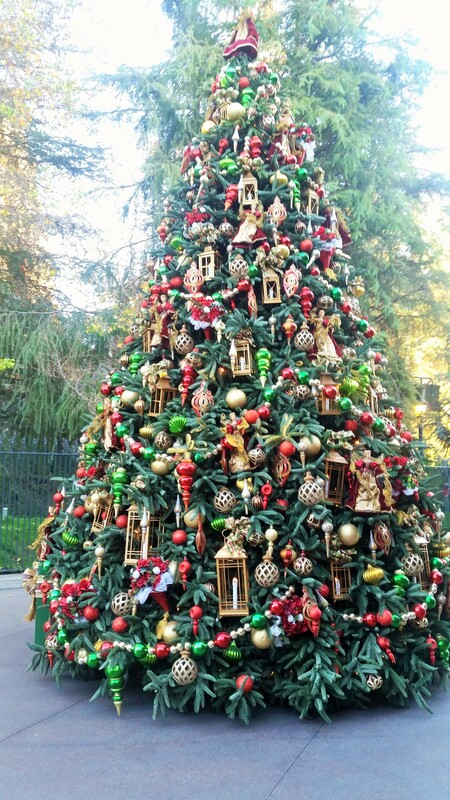 Details: Countdown to Christmas: Celebrate the season with self-guided tours of the historic houses, caroling, crafts, & visits with Santa Claus. Details: Celebrate the season with period decorations, tours led by costumed characters, craft making, music & dancing. Donation + toy drive contribution appreciated. Details: Snow Globes: Create a festive winter scene ornament. Details: Bring blankets, beach chairs, & a picnic for the 28th Annual Manhattan Beach Holiday Fireworks Festival, with closed streets, live music, a snow park & sled hill, singalong, & fireworks at 7. Details: Festive celebration of La Virgen De Guadalupe, with costumes & continuous entertainment, overnight vigil & rites in La Placita church. Details: Grand Performances presents The Joey Altruda Trio performing A Charlie Brown Christmas. Details: Christmas Eve & Hanukkah: Learn about artist wax resist techniques & watercolor to create a beautiful painting of a snowflake or Hanukkah motif. Details: A wonderful afternoon of 23 performing arts ensembles from all around LA, presented for the 56th time by the County Arts Commission (broadcast live on KCET). Free parking, schedule online, come very early to get in. Details: The procession will run up and down Olvera Street with the group singing songs in English and Spanish. They will make stops requesting lodging at designated points (“posadas,” or stores), but will be denied, usually in song. Eventually they will be admitted, complimentary champurrado (a Mexican hot beverage) and pan dulce (sweet bread) will be served, and piñatas will burst.